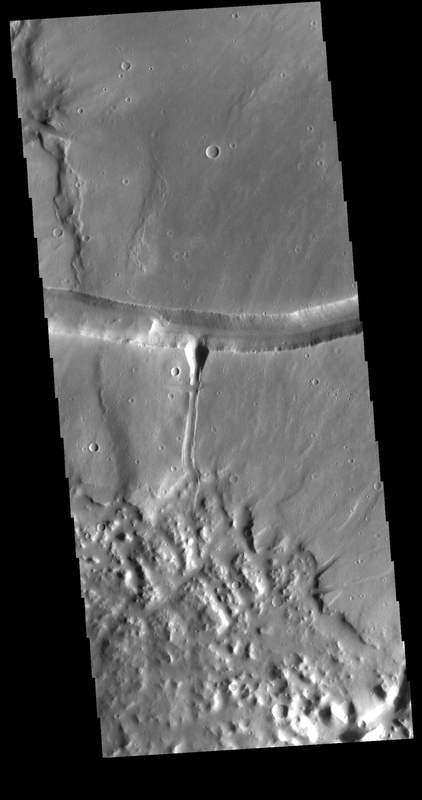 The right angle intersection of the depressions in this VIS image is one of the graben that form Sacra Fossae. The fossae are located on Sacra Mensa, near the beginning of Kasei Valles. Graben are depressions caused by parallel faults where a block of material drops down along the fault face.